The Global Alliance for Improved Nutrition (GAIN) was launched at the UN in 2002 to tackle the human suffering caused by malnutrition. 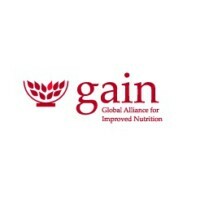 GAIN is a global, Swiss-based foundation that mobilises public-private partnerships and provides financial and technical support to deliver nutritious foods to those people most at risk of malnutrition. GAIN’s purpose is to advance nutrition outcomes by improving the consumption of nutritious and safe food for all people, especially those most vulnerable to malnutrition. In particular, we aim to improve the consumption of safe and nutritious foods for-at a minimum-1 billion people over the next five years and target major improvements to food systems, resulting in more diverse and healthier diets for vulnerable people in countries where we work. Since 2010, the Scaling Up Nutrition (SUN) Movement has inspired a new way of working collaboratively to end malnutrition, in all its forms. With the governments of 59 SUN Countries (and three Indian states) in the lead, SUN unites civil society, the United Nations, donors, businesses and researchers-in a collective effort to improve nutrition. Co-Convened by GAIN and funded by the Government of the Netherlands, the SBN in Tanzania was launched in January 2014, to mobilise the private sector for nutrition action. Agriculture, Food Fortification and Consumer Awareness were identified as critical workstreams. The network has mobilized more than 90 members and is recognized across governments, UN agencies, donors and other development partners nationally. The Associate – Private Sector, will provide technical and operational assistance to GAIN Tanzania in the day-to-day running of the SUN Business Network; the interaction with agri-food Small and Medium enterprises as part of the Nutritious Foods Financing Program and other private sector related interventions in Tanzania. The Associate – Private Sector will support the development and maintenance of relationships between SBN members, Government and B2B companies. S/he will participate in the preparation, formatting and coordination of high quality donor reports, concept notes, fundraising proposals and other materials related to the SBN and private sector generally in Tanzania. The ideal candidate will have strong project management and strategic thinking abilities along with negotiation and advocacy skills. S/he must be able to operate within the corporate and public sectors to effectively liaise with private companies, development agencies, and governments in multiple cultures. The ideal candidate will have solid experience in private sector and/or international development with minimum 3 years of progressively project management experience. The ideal candidate will hold a Bachelors or Master’s Degree in Nutrition, Business Administration, International Development, Public Health, Economics or a suitable equivalent. S/he will be fluent in English with excellent communication skills and be willing to travel to visit existing SBN Members.